Dr. Anant Kumar has 32 years of experience and is currently the Chairman of Uro-Oncology, Robotic & Kidney Transplantation Max Hospital Complex at Saket New Delhi & Max Hospital Vaishali.He was also Director of the Department of Urology, Renal transplantation and Robotics at Fortis hospital in Delhi & NCR. Prior to this, he was the Professor & Head, Urology & Kidney Transplantation at SGPGIMS, Lucknow. He was also the senior consultant at Indraprastha Apollo Hospitals, New Delhi & Consultant Urologist in Addenbrooke’s Hospital, Cambridge, UK. 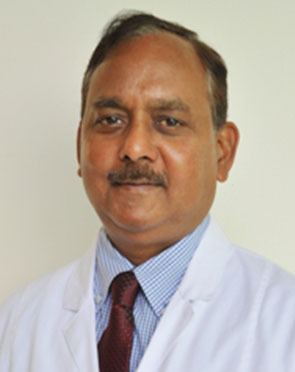 His areas of interest include Kidney Transplantation, Robotic Assisted Laparoscopic Urology, Renovascular Hypertension, Laparoscopic Urology, Urological Oncology, Laser Urological Surgery & Reconstructive Urology.He had his Urology training in Post Graduate of Medical Education & Research, Chandigarh.He has 32 years of experience in Urology & Renal Transplantation as a teacher and clinician. He has done over 3500 kidney transplantations in last 30 years & has been retrieving all kidneys laparoscopically in last 18 years and has done over 2000 lap donor nephrectomy. He has extensive experience in renovascular hypertension. He has done several hundred endourological procedures like PCNL,URS, flexible ureteroscopy, endopyelotomy, TURP, TUBT, optical urethrotomy etc. He has been removing prostate by laser for last 10 years and has used Thulium, green light and Holmium laser. Presently he has been doing HOLEP by Lumenis machine. He has done all kinds of reconstructive urology of kidney, bladder & urethra. He has been doing urethral stricture surgery for last 30 years and has performed over 700 such cases . For last 15 years, he has developed special interest in laparoscopic urology & now performed all most all laparoscopic urological procedures including radical Prostatectomy. Since 2011, he has started Robotic assisted urological surgery for prostate, kidney and bladder cancer and other urological reconstructions like pyeloplasty, ureteric re-implantation,bladder augmentation etc. Senior Consultant, Urology and Transplantation Indraprastha Apollo Hospital, New Delhi. Dr. Kumar performs 36 different procedures. Click on a procedure name to see more details and to view doctors for that specialty.